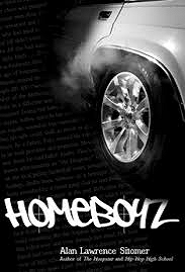 When Teddy Anderson’s little sister Tina is gunned down randomly in a drive-by shooting, the gangstas who rule the streets in the Anderson family’s rapidly deteriorating neighborhood dismiss the incident as just another case of RP, RT-wrong place, wrong time. According to gangsta logic, Tina doesn’t even count as a statistic. Teddy soon finds himself out of prison on house arrest, and in the capable hands of Officer Mariana Diaz, the smart, tough probation officer assigned to oversee his endless hours of community service. As part of the innovative rehabilitation program Diaz runs, Teddy is assigned to tutor Micah, a twelve-year-old orphan and would-be ‘gangsta’.